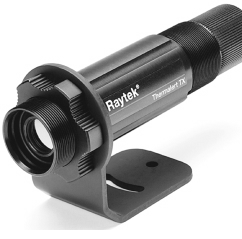 The Thermalert TX combines high performance non-contact temperature measurement with industry standard two-wire technology. Choose between the smart TX sensor with remotely addressable digital control, or the basic TX. Smart TX sensors provide digital communication, as well as 4-20mA output, allowing remote configuration and monotoring. Up to 15 sensors can be installed on a single multidrop network.